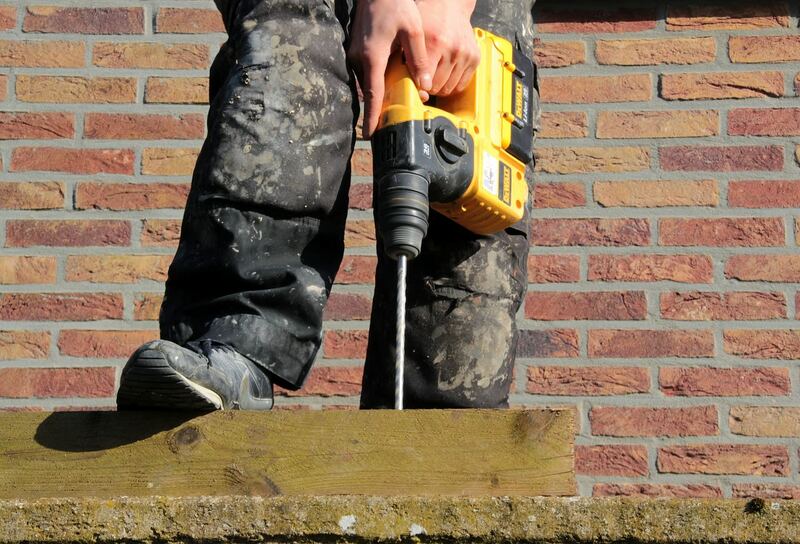 A drill is a must-have power tool in every family handyman’s toolkit. It is an essential power tool to wield when you need to do some home maintenance or home improvements. However, with so many drills in the market, you’re spoiled for choice. Luckily, we have compiled a list of the best cordless drills so you’ll know which to get. This drill from Bosch allows you to adjust the torque precisely the way you want it with its 20-step torque settings and 2 drill modes. It also has a single chuck sleeve that grants you the ability to change the accessories on the drill quickly. This drill is made for drilling holes and driving screws in metal, wood and masonry works. The DeWalt DCD776C2A is the best cordless hammer drill a handyman can get his hands on. It comes with an ergonomically-designed hand grip that is soft – you can use it comfortably for hours without feeling any pain in your hand. This drill is also equipped with a bright white LED light – nice to have when you’re working in a low-light environment! Bosch has released the Bosch GSB 18-2-Li Plus Professional that is fit for home and work use. It has a 2-speed planetary gearbox to ensure that each process of drilling and driving screws run smoothly. Another impressive addition is the Electronic Cell Protection which protects the battery against overload and overheating. As such, the battery life is extraordinarily long. This mini and lightweight drill that’s from BLACK+DECKER is nothing to laugh at; it can drill metal up to 10mm and for wood, up to 25mm. Plus, the energy-efficient lithium ion battery included can hold over 80% of its charge over the span of 90 days – no need to charge it each time after use. However, do take note that this mini drill is only for light use, so avoid drilling into concrete walls. This drill made by the team at Makita has a powerful motor to make sure that tightening screws and drilling holes are as fast as lightning. There’s also a 10mm single sleeve chuck which when a drilling bit is equipped, a ‘click’ sound can be heard – guess no more on the subject of adequately fitting drilling bits. Hitachi’s power tools are well-made, and this drill is no exception. It has 195in/lbs of torque which make it very useful for various works that involve driving and drilling. It also has a drill mode and 21 torque settings to increase its versatility further. This drill is also equipped with a rechargeable lithium-ion battery that’s both powerful and long-lasting. This cordless combi drill comes with a 5 cell pack. The humungous battery pack is packed with energy, meaning it has a higher energy density. Higher energy density = more torque = getting more done relatively fast. It also adds a 20+2 preset clutch to its arsenal which allows you to effortlessly drill a hole, tighten a screw and tighten a bolt.